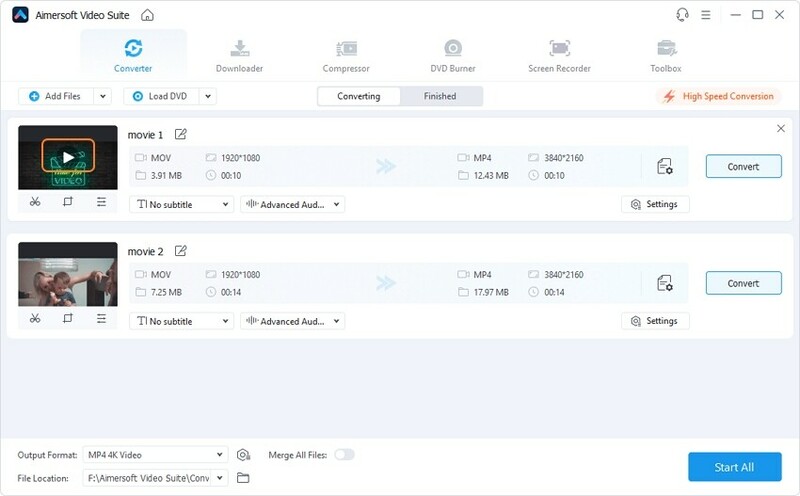 Free download Aimersoft Video Converter Deluxe to play MOV video on Windows PC easily! Q: Is it possible to play MOV in Windows 10? The .mov format is the video format used in Apple's QuickTime program, which is a media player similar to Windows Media Player. Before Windows 7, .mov files are not supported by Windows Media player, so Windows (including Windows 10) users have to download Quicktime to play .mov files. Even in Windows 7, despite rumors around the internet saying Windows 7 will natively support .mov file, people still facing the problem that .mov files are not fully compatible with RTM Windows Media Player. Then how to play MOV files in Windows? Here you'll find some simple ways to play mov files in Windows with ease. 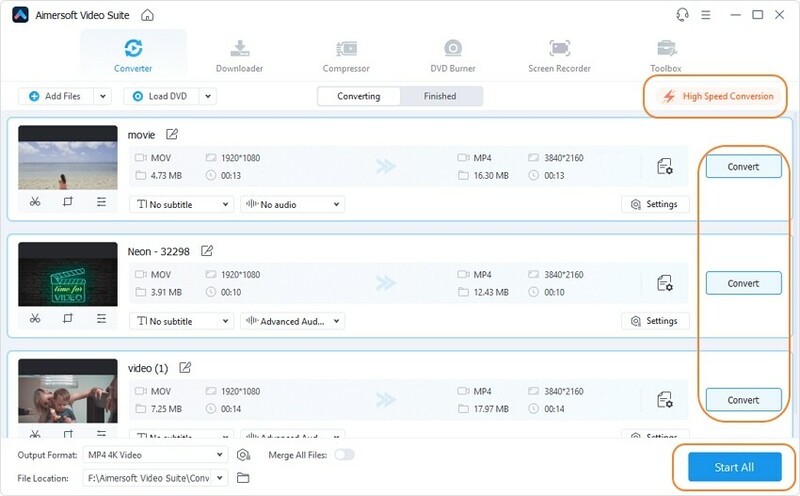 You can use a video converter to convert MOV to Windows friendly video formats like AVI, WMV, MP4, etc. and then play the converted videos with Windows Media Player. To get that done, Aimersoft Video Converter Ultimate is highly recommended. It's an all-in-one app that enables you to convert video format among 500+ video formats. Besides, it can rip DVD content to other video formats on PC, so you can play these DVD movies more conveniently. In addition, you can edit your .mov files by cropping the black boarders, trimming large video to small ones, adding text or image watermark, etc. Play MOV files on Windows by converting MOV to MP4, AVI, MKV, WMV and other Windows friendly formats. More than 500 formats are supported. 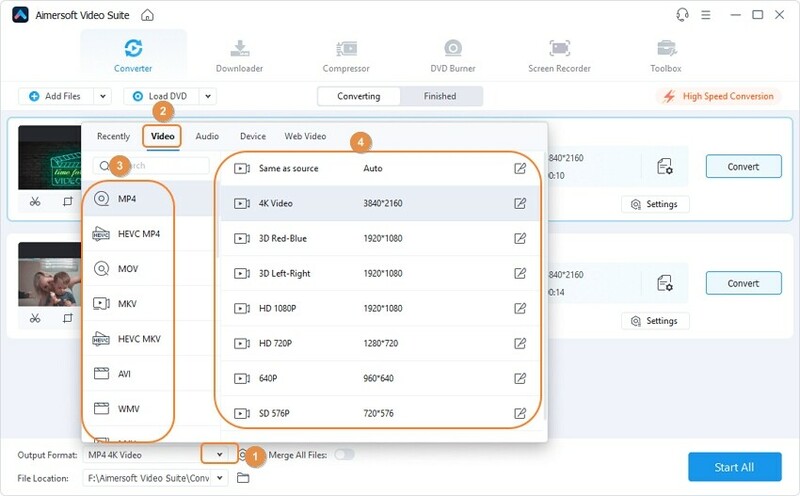 Convert video losslessly at 90 faster speed. 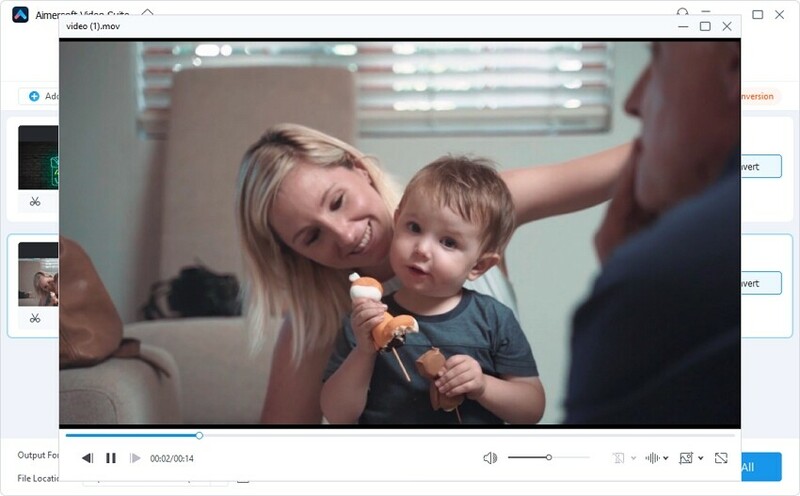 Edit video like cropping, cutting, rotating video, or adding subtitle, watermarks or other. Download or record video from 1000+ online sites, like YouTube, Facebook, Dailymotion. Burn videos to DVD, or burn music to CD. Compatible with Windows XP/Vista/7/8/10; macOS systems. Open Aimersoft Video Converter Ultimate on your Windows PC. Simply click Add Files to load your MOV videos. Or you can drag and drop the MOV video files to it. Batch conversion is supported. As you know, MP4 AVI and WMV, MP4 are the most popular formats in Windows. Now you can select these output format by click Convert all files to > Video > MP4/AVI/WMV. Finally, turn on the High Speed Conversion to speed up the process. Now, start converting MOV to Windows supported formats after touching the Convert All option. You can find the converted videos from the Converted tab or the output folder. If you don't want to change the MOV format, you still have chances to play MOV on Windows PC. Well, you will be failed to play MOV in Windows Media Player. All you need is an alternative player. Below are the 3 recommended players for Windowds. Let's get to know them. 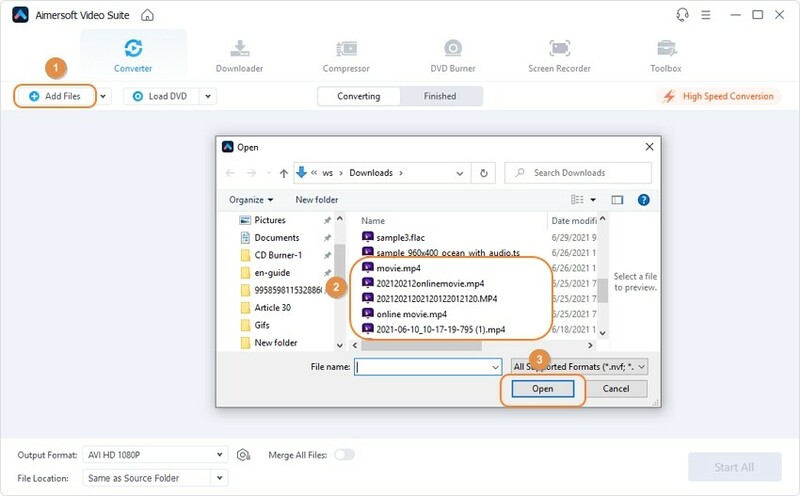 Open Aimersoft Video Converter Ultimate on Windows computer, and add the MOV files to it. Therefore, you can see there is a Play icon over the video thumbnail. Click it. Now the MOV is playing on your Windows computer. You can see there are 2 options, which allow you to maxmize the video, or take the screenshot. The process can be done in any Windows system (Windows XP/Vista/7/8/10). 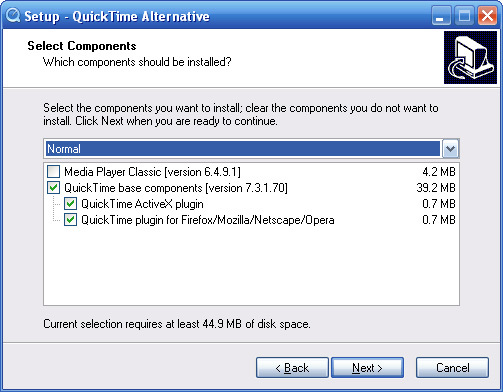 QuickTime Alternative is a free tool developed for Windows users to play MOV videos with more media players. To use it, you need to first install the newest version of QuickTime. If you are having problems getting QuickTime Alternative to work, you can delete the QuickTime folder under SYSTEMROOTsystem32 (generally C:WindowsSystem32QuickTime) to see whether it works. The 3ivx decoder components are compatible with Windows Media Player and QuickTime. By installing them, you can play MP4, M4A, MOV, 3GP files smoothly without conversion. In this way, you can make your Windows Media Player play MOV videos.However, 3ivx encoder is not an open source.The price is relatively low, which costs $7.95.